What does the hearing screening test involve? Your baby may have one or both methods of screening. When will the hearing screening test be done? 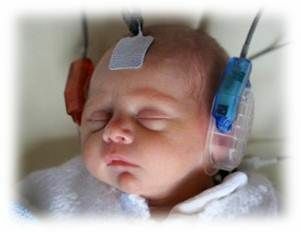 The hearing screen is usually done before you leave the maternity unit. If your baby’s hearing is not screened, the Hearing Screening team will contact you to arrange an appointment within the next few days. Clinic appointments will be held at Warrington Hospital. If you have not heard from the team please ask your health visitor, midwife, or family doctor to arrange an appointment.